How We Worked, How We Played: Herman Schultheis and Los Angeles in the 1930s"
A new, Depression Era photo exhibit, "How We Worked, How We Played: Herman Schultheis and Los Angeles in the 1930s," debuts this Friday, Oct. 12, in the History & Genealogy Department at Central Library, 630 W. Fifth St., downtown. 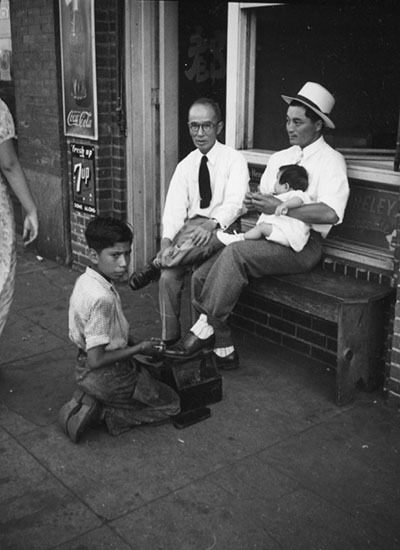 The exhibit offers a glimpse of this ever-evolving city through the lens of Herman J. Schultheis in the midst of the Great Depression and on the eve of World War II. When Schultheis, a former Walt Disney Company engineer, disappeared in the jungles of Guatemala in 1955, it seemed any sort of public legacy was destined to vanish with him. However, after his widow's death, a treasure trove of his historically significant documents and photographs emerged. What was found inside the house is now the stuff of animation legend. Schultheis had been employed by Disney around the making of Fantasia, Pinocchio, Bambi, and Dumbo, and he had kept a detailed, illustrated notebook documenting how special effects were achieved on the landmark Disney films he had worked on. Many of these techniques became lost over the years, and when the notebook--currently housed at the Walt Disney Family Museum--was discovered inside a Murphy bed, it was an unexpected revelation. The Schultheis material also included photographs, thousands of photographs. Schultheis, a German immigrant who arrived in New York in his mid- twenties, was a man of many talents. Besides holding a doctorate in electrical engineering, he was an accomplished pianist, an amateur archeologist, and an avid photographer. It was while pursing these latter two interests that he met his untimely demise in the Central American jungles. 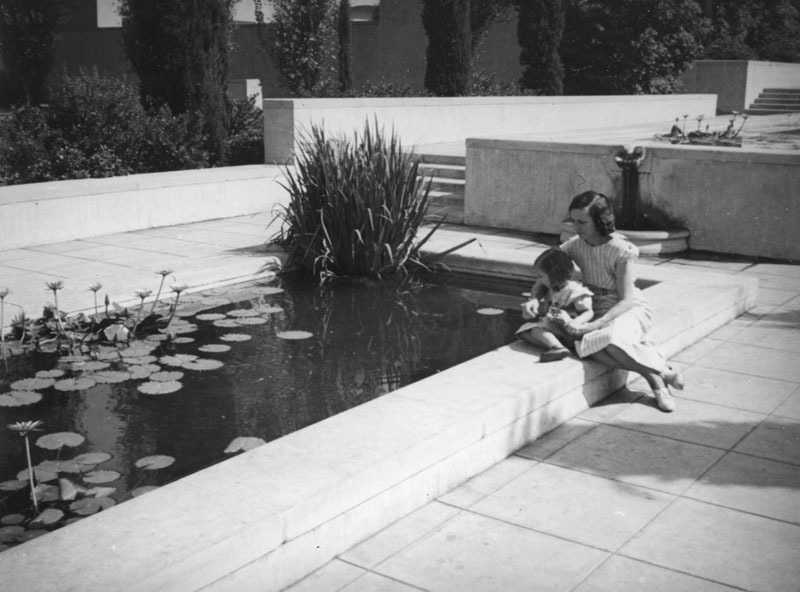 After marrying his wife Ethel, the couple left the east coast and headed west, arriving in Los Angeles sometime in 1937. They initially settled in the Hollywood Hills and explored their newly adopted city with a vengeance. With his trusty camera by his side, Schultheis captured a region in the midst of tremendous growth, but one that was also suffering through the Great Depression along with the rest of the nation. Herman Schultheis' Los Angeles is not always the same one seen in so many picture-perfect postcards of the era featuring squeaky-clean streets, pristine beaches, movie star homes, and endless fields of orange groves. 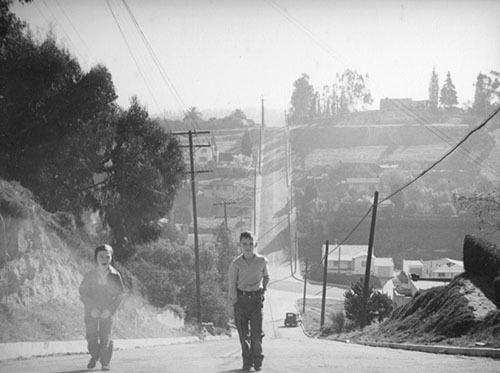 His Los Angeles revealed a working class city, beginning to show the signs of urban decay but forging ahead with progress. 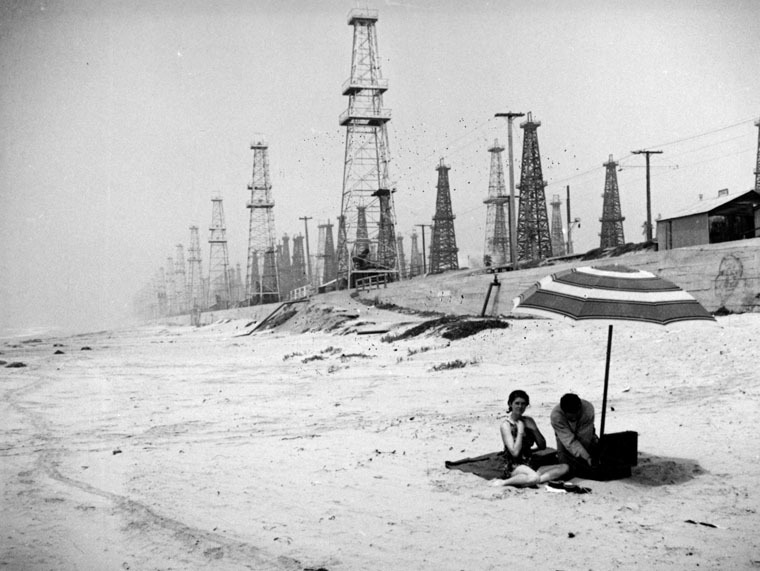 It is a land where beachcombers picnic in the shadows of oil derricks, families work in suburban fields, and minority populations are displaced for the advancement of others.